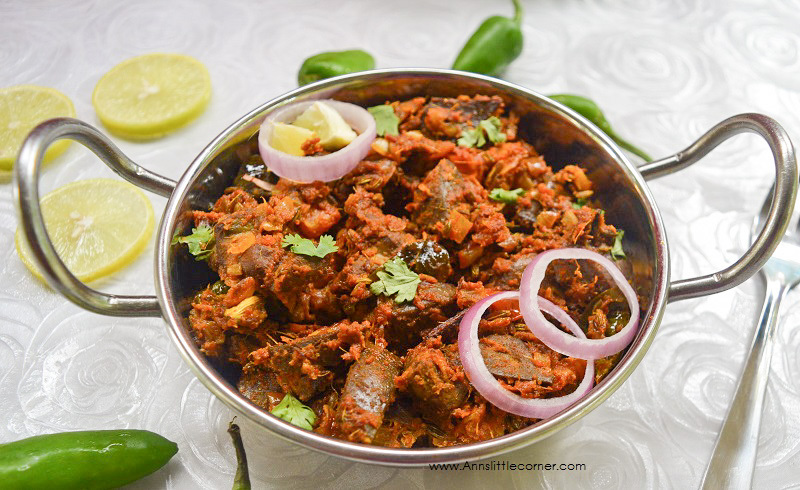 Mutton Liver Masala or Eeral Varuval is a good appetizer. The Mutton Liver masala tastes spicy and yummy. Liver is often recommended for the iron content in it. 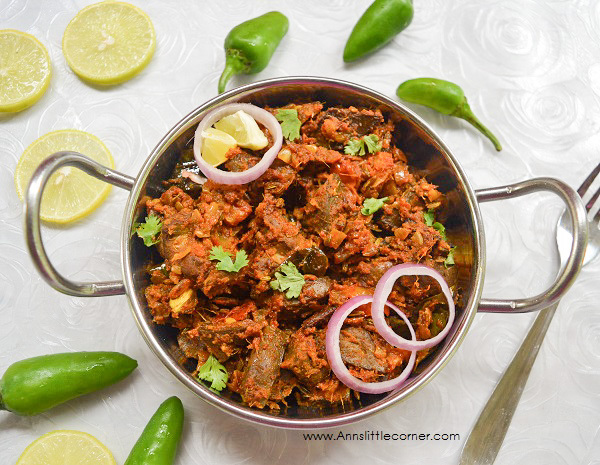 Mutton Liver cooked the right recipe gets an awesome and fulfilling taste. You feel EWWWW….. Liver… trust me try this recipe you will start loving it. And the good news is Liver is believed to have lower percentage of saturated fats and Cholestrol, and so safer for heart, its good for skin and makes it glowing :). 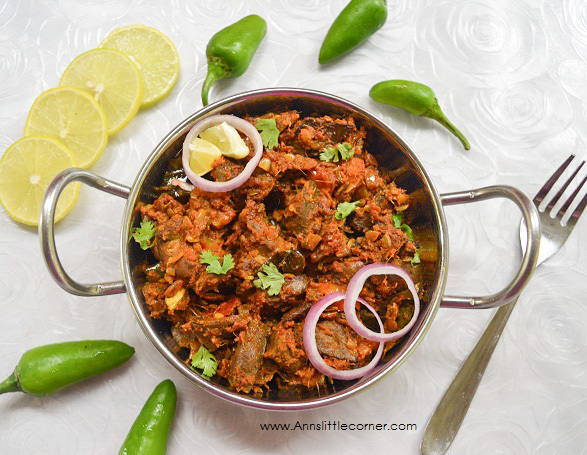 Other Liver recipes found in this space are Mutton Liver Gravy, and Mutton Liver Pepper Fry . Apart from being a good appetizer this can also be served as a side dish for rice or roti. Wash and clean the mutton liver. If required chop them into bite sized pieces. Add Liver, Salt, Turmeric powder and water into a pressure cooker and pressre cook for 3 whistles. Switch off the flame. Allow the cooker to release pressure on its own. Heat Oil in a Wok. Add in Cumin Seeds and Fennel seeds and allow them to splutter. Add in Cloves, Cinnamon stick, Bay leaves, star anise and Cardamom. Heat until nice aroma comes out. Add in Curry leaves and saute them. Add tomato and salt to taste and saute until mushy. Add in chopped onion and saute them. Add in ginger garlic paste and saute until the raw smell goes away. Add in cooked liver and saute them. Add in Garam Masala. Add in Coriander Powder, Red Chilli powder and Cumin Powder and give a quick stir. If the mixture is dry sprinkle few drops of water. Add salt to taste if required. Give a quick stir. Close the wok with a lid. Cook until the masalas completely blend well with the liver. Switch off the flame. Garnish with coriander leaves. Delicious Liver Masala is now ready to be served. Do not overcook the liver or it would get rubbery. Adjust the spice powders as per your spice requirements. While sauting the Liver if the mixture gets extremely dry sprinkle few drops of water and saute them. Keep stirring so that the masalas are not burnt.